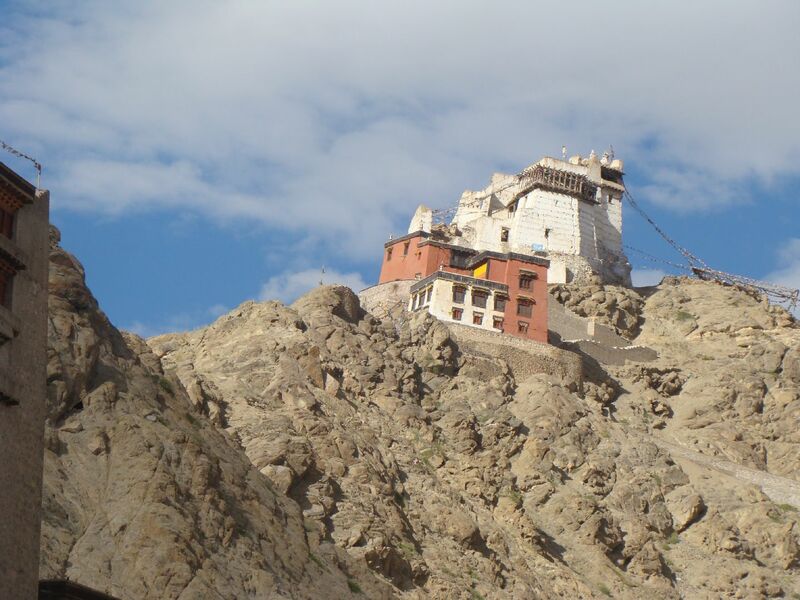 The scenic highways of NH1D andn NH21 lead into Ladakh will take you the the charming little town of Leh. Though filled with tourist during the peak season ranging from June to September, most of them use Leh as a base to visit the surrounding valleys, lakes or plan their next trek. With the town being so small that one can visit all the popular sights within a couple of days, it comes as no surprise that people do not hang around here much. The tourists keep coming and going. However, I believe , travelers coming to this town that serves as headquarters to Ladakh, should hang in a bit more and have a Leh’dback time. If the slow traveler can stay put there is so much to do and yet not to do that one can while away weeks without realizing how did it actually happen. The best place to have a relaxed time is the numerous open air cafes that are spread around Old Fort Road, Main Bazaar and Changspa. And breakfast is the best way to begin. Walk around leisurely into any of the cafes and pick your favourite spot. The staff will take their own time to take your order once they have handed you the menus. They know that you are on a vacation. Knowing that yourself will help as well ;). So if your order takes a while to arrive, relax. One restaurant even goes to point of putting up this as a footer in the menu “Remember, this is Leh. Your order may take more than 30 minutes to be served”. Read a book, plan your sight seeing for the day, admire the garden (some of the restaurants have a little garden) or strike up a conversation with the guest at the next table. Afternoons are a great time for some people watching. The market area which was still sleepy when you had breakfast would now be fully up and running doing brisk business. A fantastic time to have lunch and people watch sitting in a rooftop restaurant. And follow it up with a short nap back in your room. Or read a book in your hotel garden. A good number of hotels and guest houses in Leh have a garden and the freshly grown vegetables here make it to your lunch at times. Head out once again in the late afternoon and walk along the market haggling with the salesmen over a trinket or walk around the stores simply admiring the displays or window shopping – before making your way to Shanti Stupa which lies at one end of Changspa. 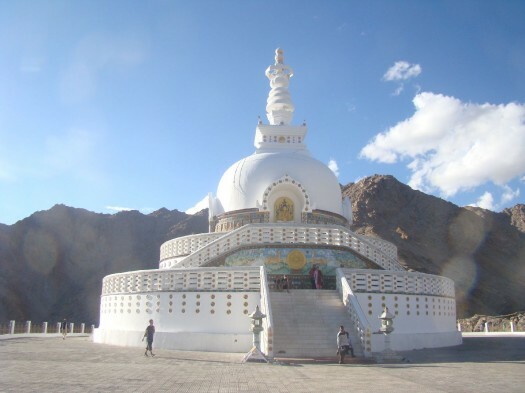 Built by a group of Japanese Buddhist monks to promote world peace, it stands on a hill top offering fantastic views of Leh and its outskirts. 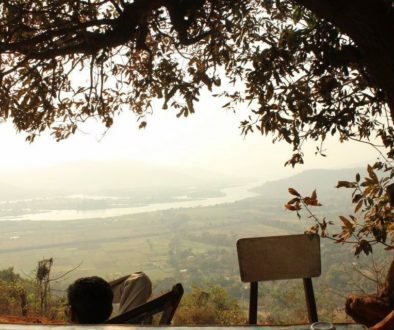 Sitting near the Shanti Stupa admiring the landscape and watching the sun go down beyond the hills will be an experience which will again bring you back here the next evening and the evening after that and after that. Also prayers are held in the evenings and the sounds of hymn, gongs and rest of the percussions will take you to a trance like state. And if there are polo matches being held among local teams, make it a point to attend that at the Polo grounds. 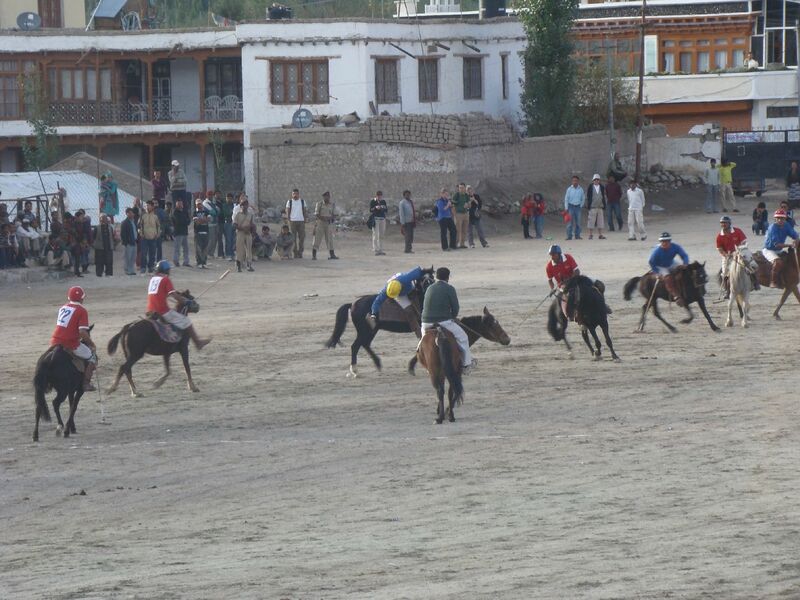 Usually held during the weekends, however, during the Ladakh festival that is organized during September, there are matches being played every evening. 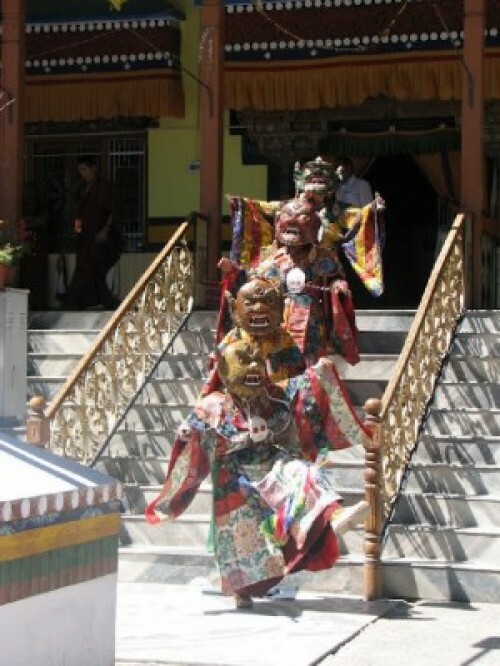 The Ladakh festival is another fantastic experience with most of the programs and exhibitions being held in Leh. Special mention must be made about the Chamms dances which are holy dances performed by the monks wearing colourful costumes and masks. Chamms dance during Ladakh Festival! 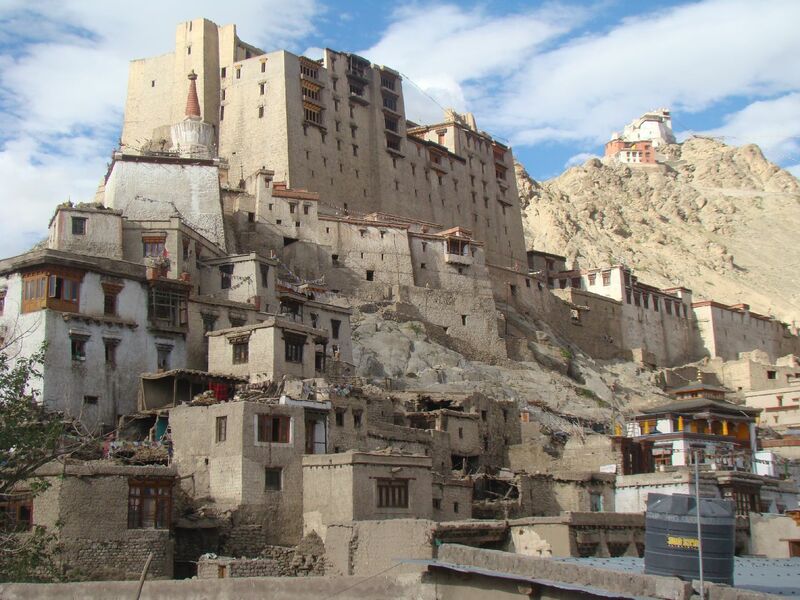 Despite the crowds, the narrow alleyways, the travel agencies and the like, Leh is a beautiful place to relax. 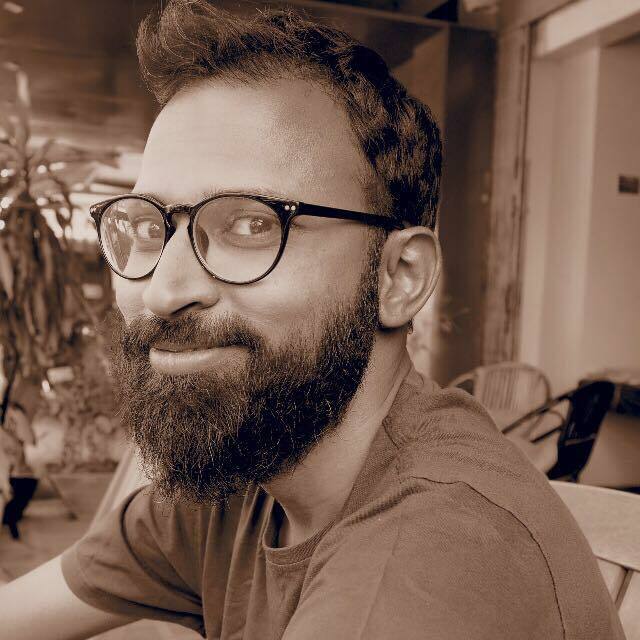 With number of fantastic restaurants, a vibrant market, friendly locals, artistic monasteries, Leh definitely should be high on the list of places where you can do a lot of things and yet can choose to do nothing and be happy about it.